Saint Patrick's Parish Website - Red Carrot Design, Inc.
Saint Patrick’s Parish is a Catholic Church within the Archdiocese of Anchorage. From its humble beginnings celebrating Mass on the gym floor at Chester Valley Elementary School in 1971, St. Patrick’s Parish has grown into a thriving Catholic community of over 1,300 families. Our Solution: Designed and developed a modern responsive website that is mobile and search engine friendly. The site provides an online resource for parishioners and visitors to learn more about activities, ministries, and leadership at St. Pat’s. 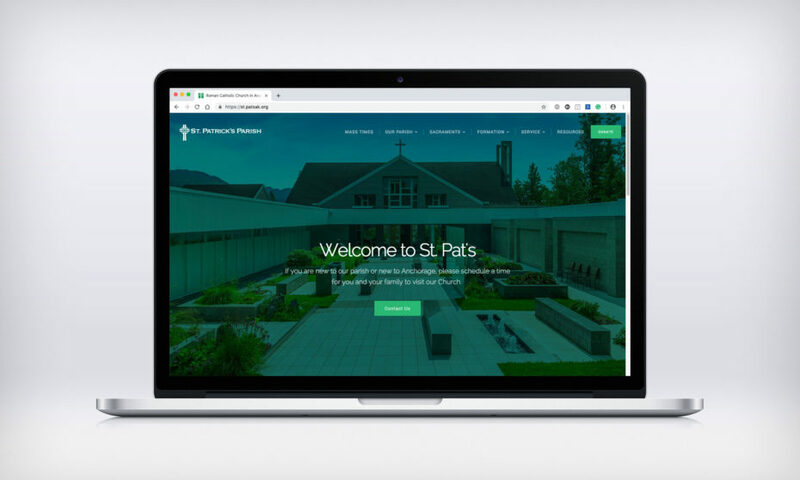 The website now incorporates call-to-action messages throughout to lead visitors to their online contact form, then further funnels them to specific ministries at St. Pat’s.